If you can’t work because of an illness or injury, you may be able to pursue benefits through the Social Security Administration (SSA). Social Security disability (SSD) benefits are available to anyone who meets the requirements for paying into the Social Security system and who cannot work for at least one year because of physical or mental injury or illness. While unfortunate, the Social Security Administration (SSA) denies many valid claims. 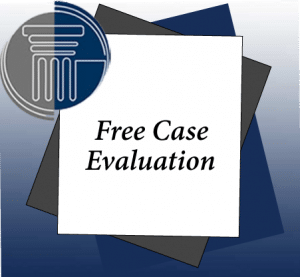 To maximize your chances of an approval of your application in a timely manner, it is important to choose an experienced lawyer to represent you. At Pyrros & Serres LLP, our lawyers understand the anxiety that comes when you can’t work or provide for your family because of an injury or illness. Our firm handles all matters related to Social Security Disability Insurance (SSDI) claims. After evaluating the details of your situation, we gather, review and preserve all evidence to support your application for benefits. Our office will prepare and file your application for benefits, along with all relevant documentation. We will also represent you at all administrative hearings and appeals before the Appeals Council (AC). Under federal law, if you have an injury or illness that prevents you from working for at least twelve months, you may be eligible to receive disability benefits from the Social Security Administration. Your injury does not need to be work-related. In fact, workplace injuries are covered by workers’ compensation insurance and Social Security. Social Security Disability claims encompass a wide range of non-work-related conditions; however, the process of obtaining benefits can be difficult. Under Title 11 of Social Security regulations, benefits are available only to those individuals who have paid into the Social Security system and earned the requiredcredits. In addition, you must have a medical impairment that falls within the Social Security Administrations definition of disability. To be eligible for benefits, you must demonstrate to the SSA that your physical or mental impairment will last at least 12 months or is expected to result in death. If you do not meet the earnings requirement for Social Security Disability, Supplemental Security Income may be an option. SSI is a federal program based on financial need, which has the same standard of disability as SSD. Once your disability has been determined under the Social Security regulations, the Social Security Administration will evaluate your income and resources in determining eligibility.